Students can design their own major based on academic interest and career goals. The major is designed by the student in consultation with an academic advisor and selected faculty. The Interdisciplinary Studies major is a comprehensive major designed for students looking to customize their educational goals at UW-Superior without the constraints of an existing academic program. Connect with Admissions and get one step closer to earning a Superior Degree. Students of the communicating arts program gain theoretical perspective and applied frameworks for interpersonal communication skills, relevant to virtually any profession. Students get the opportunity to work with children in local classrooms early in the program. Education majors can pursue teaching minors, which allow students to work toward their desired licensure, ranging from early childhood, English, geography, health, language arts, math, the sciences, social studies and special education. More than 90% of graduates find jobs teaching in PK-12 schools. Investigate health and environmental issues as they relate to the global community and how organizations, resources and personnel are involved. UW-Superior's exercise science program provides the knowledge and skills needed to acquire a position in areas such as health and fitness, and clinical exercise physiology. Study the seven dimensions of wellness and how they affect our lives. Examine human health, health psychology, health coaching, communication strategies, ethics and policy among other topics. Develop good citizenship and civic engagement with the ideas of justice and the norms of fairness and constitutionalism through debate, simulations, small-group discussion, collaborative learning and one-on-one interactions with instructors. Students can choose to pursue a concentration in criminal justice. Students gain a broad base of knowledge in individual social development, the biology of behavior, adjustment and well-being, learning, cognition and language. A concentration in behavioral neuroscience is also available. Graduates of UW-Superior's accredited social work program will be ready to assume professional responsibilities while promoting social justice and development. An integral part of our lives, technology is inescapable. UW-Superior's computer science program allows students to not just use technology, but be on the forefront of making it, preparing students for cutting-edge jobs or graduate study. As the foundation for all applied sciences, business, economics and computer programming, mathematics serves as the cornerstone for our changing society. The concepts and applications of computation, cryptography, abstract algebra, and mathematical proofs engage and challenge students’ critical thinking skills, stretching their understanding of formal mathematics. The Bachelor of Arts in Music degree allows students to learn about music within the context of a broad liberal arts education. Students enhance and perfect their own musical talents through one-on-one instruction, in addition to studying music theory and history. Our long-standing reputation for training highly-qualified music educators is evidenced by our near-100% job placement rate and the quality of music programs led by our alumni. Be a part of excellence. UW-Superior's long-standing reputation for training excellent musicians enables graduates to gain admission to leading graduate schools and to hold positions as performers, teachers and professors throughout the U.S. and abroad. Earning a biology degree at UW-Superior goes beyond staring at textbooks and taking tests. Students get dirty and wet—wading in streams, gathering samples and studying organisms up close in modern science labs. The biology major also allows students to choose one of the following four focus areas: cell/molecular biology, ecology/aquatic, biology/fisheries science and plant sciences. Biology students can also pursue a pre-medicine and health professions concentration. Chemistry majors analyze chemical compounds, evaluate the properties of elements and study the intricacies of how they interact and react. Students will also learn how to create and implement experiments while collaboratively engaging with other students and faculty. Students can choose to pursue a pre-medicine/pre-pharmacy (biochemistry) concentration. UW-Superior's program in environmental science provides an excellent education into ways humans interact with land, water and air, and enables students to delve into some of the most pressing issues of our time. In a data-driven world where budgets must be balanced and every penny tracked, accountants are essential for analyzing and examining financial information and advising decisions based on that information. As you study economics at UW-Superior, you will conduct surveys and collect data as you research and analyze current economic issues and prepare and present your research results. The Bachelor of Science in Sustainable Management is a completely online degree completion program. Students will learn a diverse set of skills in business, environmental science, resource management and sustainable development that translate to any industry. At UW-Superior, you'll learn the business of efficiently moving and managing people, materials and products by air, road, rail, pipeline or water. Superior's role as a Midwest transportation hub, located on one of the largest shipping ports on the Great Lakes, provides unique opportunities for students to gain first-hand experience. In UW-Superior's History program, students engage an increasingly diverse and interconnected world in deep and meaningful ways. By studying various world regions, and the connections among them, students gain a better sense of their own place in the world and develop the knowledge and skills to navigate an increasingly complex future. The UW-Superior Visual Arts Department offers many options that enable you to develop your talents and pursue a meaningful career. Students can major in visual arts and then specialize their studies by selecting a concentration in art therapy and studio art. Through the study of nonfiction and fiction literature, poetry, novels, and short stories, you will grasp an understanding of Chaucer, Shakespeare, Plath, Huxley and others as you evaluate, critique and discuss. The best writers take new chances, seek feedback and have the ability to write articulately for every audience. The writing program at UW-Superior promotes this potential by providing a hands-on, active style of learning. Explore your creative side through UW-Superior music and theatre. With numerous on-campus events, you’ll get to experience an array of theatrical and musical productions – or become a part of the show! 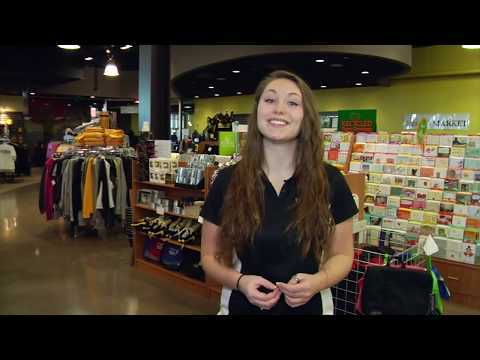 Whether you’re an athlete or a fan, UW-Superior offers 19 Division III sports. You will have access to an array of recreation and wellness opportunities, as well as a variety of intramural sports. Outdoor activities await just minutes from campus. Plus, Superior Adventures provides trips and equipment to help you get out and explore! Join one of over 60 student organizations – from the Curling Club to Amnesty International and so much more. Don’t see a club for you? Start your own! The City of Superior lives up to its name and plays host to the foodie, music lover, shopaholic, and sports fanatic in all of us. When it comes to being an outdoors enthusiast, you’ll find that the Superior and Duluth, Minn., area is made for any and all activities. 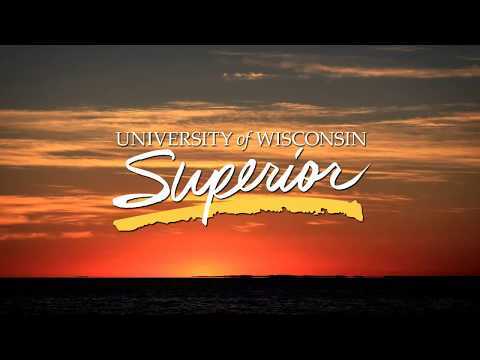 Campus is located just minutes from Lake Superior!